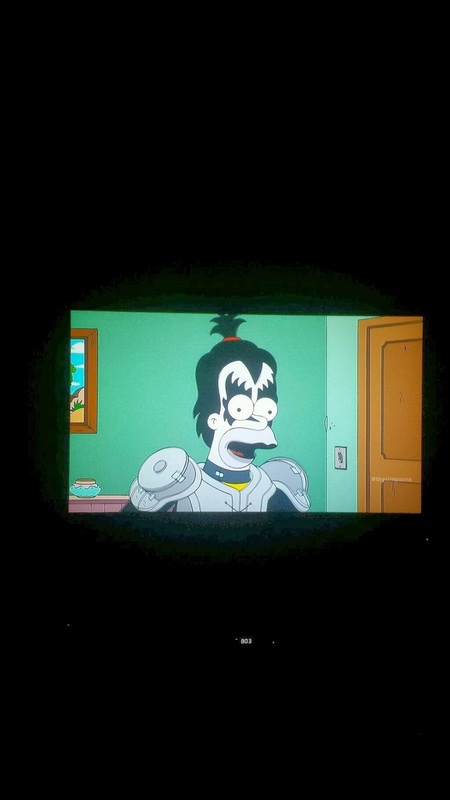 Last night during a new episode of "The Simpsons", Marge was pregnant and Homer was dressed as up as Gene Simmons. Marge kept asking Homer to put on different KISS albums while she was going through her pregnancy, and asked Homer to "do that thing Gene Simmons does". "What, over stay my welcome for 40 years." We also caught several KISS song references throughout the show. IE: "Rock Bottom".